So you may know that I teach a cardio dance exercise called Nia. It includes Martial Arts (such as Tae Kwon Do), Dance Arts (such as jazz dance), and Healing Arts (such as yoga). It is body centered. Basically, it has many facets and can explained many different ways, but it is best for one to see for themselves what it really is. So I call it a cardio dance exercise. That lets people know that they will be dancing and getting a cardio workout. It clues them into the fact that if they move, they will sweat. The rest they just have to experience. One thing we do in Nia is we move around the room. 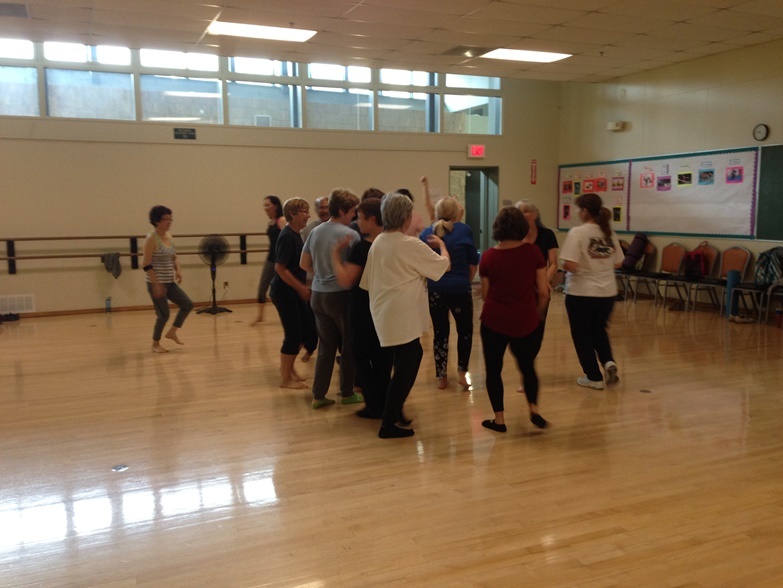 It is great to experience the world from other perspectives and just moving away from your regular dance spot in your dance class can help you do that. Sometimes when we move from our regular spots we are moving around the room in FreeDance . . . perhaps taking up as much space as possible, moving about the entire room or dancing in all the corners. Sometimes when we move from our regular spots we dance in a “bundle”. Nia is also about community so this really helps exhibit that. We dance in a group, in a bundle, as a community. There is a particular kata in which I remember the training DVD to have encouraged us to dance close, as stated, in a bundle. So I always try to get people to get close. I suggest we all move gently in the tight bundle. I ask that everyone move through the middle of the bundle at least once. I also propose that people make eye contact. This is something I usually say to remind myself. I am getting better at doing so. I used to always look down, but now we are eyeing each other. During one class I stepped outside of the bundle to turn up the music and thought it would be a great time to snap a photo. As you can see our little Nia community is great at doing the Nia Bundle. We always speculate as to what people who might see us would think when we have this large wonderful dance floor and we are all in the middle dancing. We also laugh about elbows and toes, acknowledging that you might run into one and being very careful not to step on the other. I believe the Nia Bundle is one of the things that makes Nia unique. If you have read some of my other posts before, this one might sound pretty familiar as I wrote about the Nia Bundle in my post Dancing Close. This post pretty much explores the same information, but with this one there are pictures. Not every Nia routine’s choreography contains a Nia Bundle . . . but a Nia teacher can use a Nia Bundle anytime. Since it is such a fun way to dance in community we might just sneak it in whenever we want. I tend to stick to using it when we dance the particular song that Carlos choreographed the Nia Bundle in . . . .but ya never know, since my students are so good at it, I might start using it more. How would you feel about a “bundle dance”? I am not organized in all areas of my life. Who is, right? But I do find that when I am organized it makes things easier . . . faster . . . quicker. And, most of us can benefit from that, right? There is so much going on, if we can do something faster it helps. Even if it is just to allow us time to slow down. Hurry up and cook dinner so we can sit and relax. Hurry up and clean up so we can go off to play. Whatever . . . hurry in one area of life to make it easier so we can get to the OTHER things in life. Well, I teach Nia, which is a cardio dance that is done to a variety of music. Nia Teachers purchase routines from Nia Technique. They are playlists and choreography. Ok, really they are A LOT more than that, but if I got into ALL of what the routines are in this post it would be really long and I would probably not even get to the point of this post. The point is some information on how I “organize” or arrange my music in iTunes. 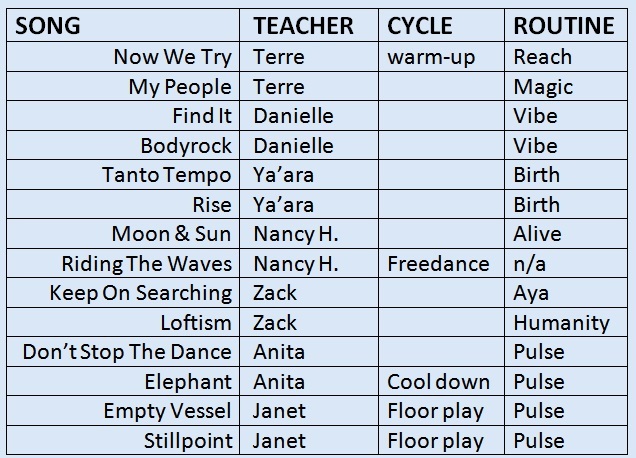 So, Nia teacher purchase routines and for some reason sometimes the Album is titled the name of the routine and sometimes it is titled “NiaSounds”. Sometimes it is the name of the routine-NiaSounds. It is NOT consistent. The artists are all over the place from the ACTUAL artist to “Nia Technique”. It is not consistent. And the genre is spotty too, sometimes it is “Alternative”, sometimes it is “New Age”, and I am not even sure what else. This inconsistency does not make it easy to organize the music. And it is very desirable, if not necessary, to have the music labeled consistently so that it can be organized consistently. What I do, is I make certain the genre is “Nia”. The ACTUAL genre could be anything because we dance Nia to all types of music. So what it REALLY is, is not what I am looking for. I want my Nia Routine music to come up all in one spot when I look at it if I am looking at it via genre. 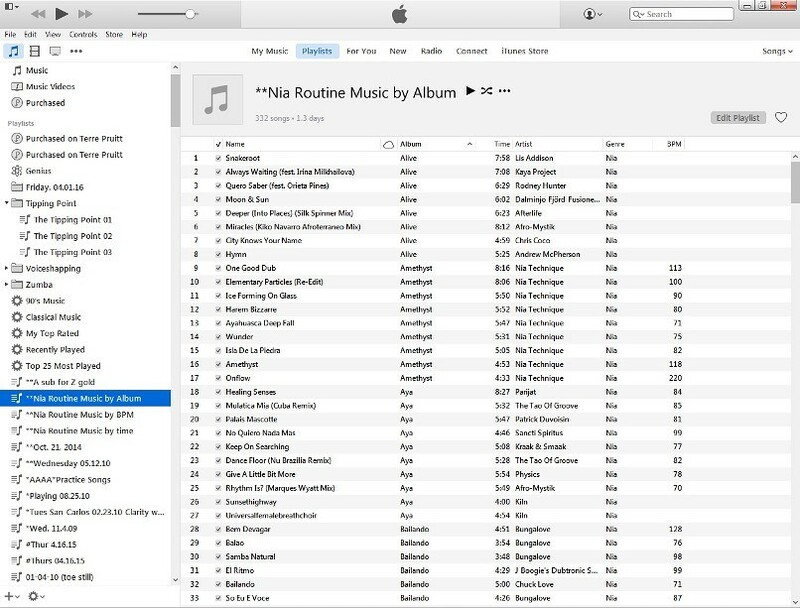 I change all the Albums to be the name of the actual Nia Routine so I can find music easily by the name of the routine. I don’t bother with the artist because I like it when it is the ACTUAL artist, but I am not going to spend the time to correct all the music to be the actual artist. As I said, the way Nia labels it is not consistent. iTunes changes the way it functions WAY TOO often for me. I notice that the length of a song doesn’t show any longer where it used to. I have to go in and out of playlists to see the length of songs. When I have a playlist pulled up, I have to go out of it into the list of playlists to see the length. I have been delaying the update that is currently out there because I can’t even imagine the new changes they have done, the last time an update came out someone on Facebook asked a question about where the total time of the playlists had gone to and that made me think I had better not update because one of the things that makes an iPhone and iPad useful to me is that it can be used to create playlists. And when you are teaching you need to know how long the playlist is. One of my devices is on a really old iOS (6something) and the other one is at 9something. I think my iTunes is a few versions behind. But I am afraid to update because I don’t want to lose the function that I use. Another way I organize the music is I have three separate playlists for the Nia music. One is arranged by Album. So I can easily see what song goes to which routine. I can pick out a song that I know is in a routine, or identify a routine when I know the song. Also, I have a playlist arranged by BPM . . . which means Beats Per Minute, but in Nia we don’t go by BPM we go by the 8BCs. So once I figure out that count I try to remember to put it in my iTunes (under BPM). I have not successfully remembered with all the routines, so not all of them show up properly in that playlist but enough to help me when I am trying to put a particular speed song into a routine I am trying to create. Then I also have a playlist arranged by time because sometimes I need a LONG song and sometimes I need a short song. When they are all clumped together by time it makes it easier to pick the length of time I need then I can just pop it into the correct Nia Class cycle. So these three separate “playlists” allow me to see the music in ways that I need, in order to create playlists on my device that I will use in class. That is what I do to help keep my music organized in a manner that works for me. I am sure there are different ways that other Nia teachers do it as this is not the only way. Whether you are a teacher that uses music or not – how do you organize your music? 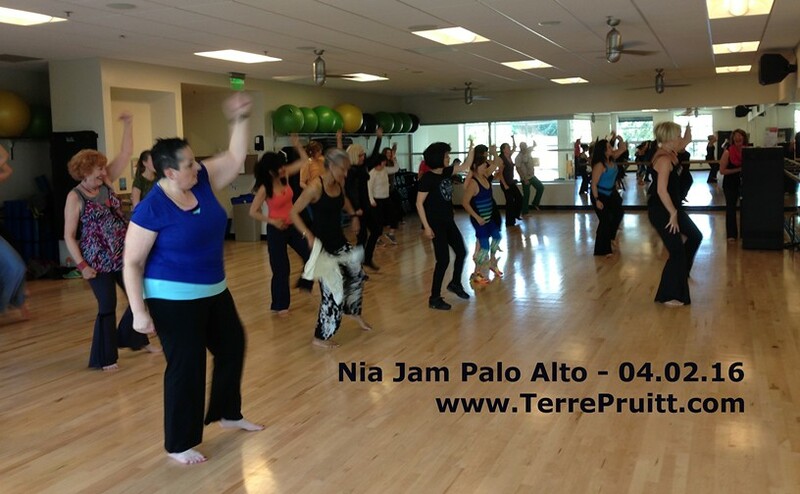 I teach a cardio dance exercise called Nia. It is dance, it is exercise, it is a cardio workout. It is done to music. Nia teachers pay a licensing fee and included in that are routines. The Nia Technique creates routines. One part to learning a routine is to listen to the music. I listen to it a lot. Sometimes I have difficulty or I feel I do, if I don’t like the music. But most of the time I like it. But either way, I listen to it a lot. Sometimes I listen to it while I am cleaning, but when I have the vacuum on I can’t hear it so I have been wanting some Bluetooth headphones. I have had my earbuds in with my phone in my pocket or tucked in somewhere when the wire has gotten caught and the earbuds RIPPED out of my ears or out of the phone. Neither one is good. So I thought it would be cool to have a wireless pair. Originally I was looking for headphones. Everything I found was expensive. I didn’t even realize they made wireless earbuds! My husband found some that were affordable. It turned out he liked them and they worked well. Sometimes the affordable things don’t always work well, so it is nice that these did. So I went looking and I found a pair that looked almost exactly like his but were even less expensive. I’m only talking $4.00, but, $4.00 is $4.00. So I got some. And I like ’em. I like mine better than his. Both pair are over the ear type of wearables. Both pair stick IN your ear. On mine, the earbud part seems to be made of metal whereas his are plastic. Also, the over-the-ear holder on mine seems a little softer more flexible. I liked that a lot better. It made them more comfortable. When I tried his on, one of my ears started to hurt. With the softer holder they might flex more and allow for better movement with my glasses. Of course, at $13.99 they are from a brand I have never heard of – Parasom. But they work. Who knows if they will keep working. I have experienced many off-brand – or more accurately – not a name brand – product that has stopped working after a couple of months. So we will see. Mine also had a little clip, which I liked. The control portion of the earbuds on mine is about an inch or so closer to the earbud than his, but that is ok for me. I am not using mine while running like he is, so it is easy for me to stop what I am doing if I need to in order to work the controls. Although they are pretty easy and pretty standard controls. One button powers it on – and it says, “Power on” and off (it says “Power off”). The same button starts the play of music and pauses it. One button turns the volume up, goes to the previous song, and restarts the song. Another button turns the volume down and advances the music to the next song. I haven’t used it as a headset for phone calls because the first time I tried it with my hubby’s he said he didn’t like the quality of my voice, so I haven’t bothered trying mine. I know when I am using my regular headset and driving I can’t be on the phone that long because the quality of the caller’s voice is distorted. Probably has to do with the fact that it is only coming through one ear bud. Anyway, I am always excited when I get a product that I think of as expensive at an affordable price AND it works. So, I like to share. So far, this was at an affordable price, it works, so I am sharing. I would like to point out that I did NOT receive this product for free or at a discounted rate for my unbiased and impartial review. But, hey, how do I do that? I read A LOT of blogs and reviews where the people say that. Sign me up for that! Anyway . 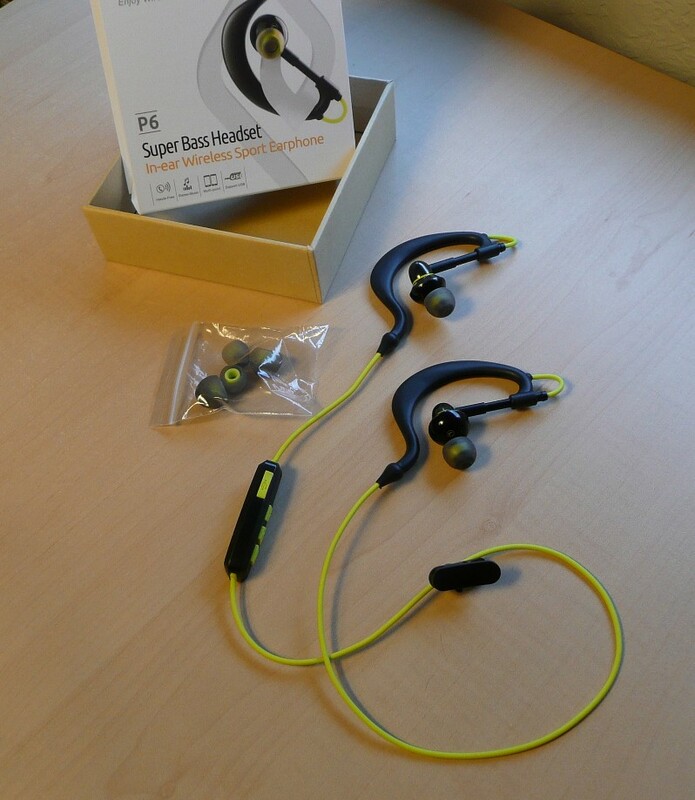 . . if you are looking for an affordable wireless headset the one my husband got is good or mine is – which I think is better. Have you ever had your earbuds ripped out of your ears because the wire to the phone get caught on something? 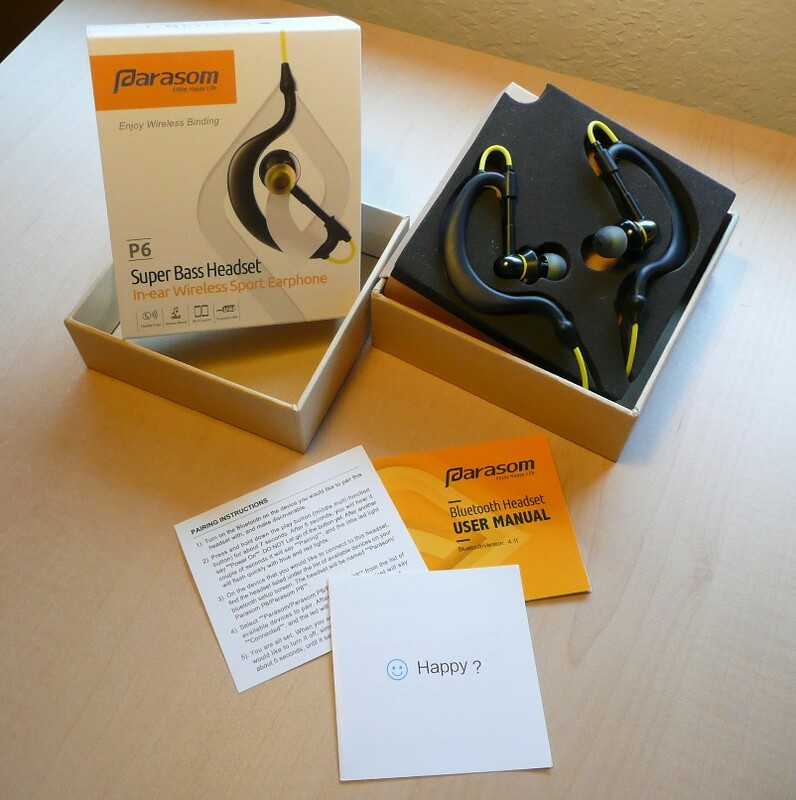 Have you been thinking about a wireless pair? 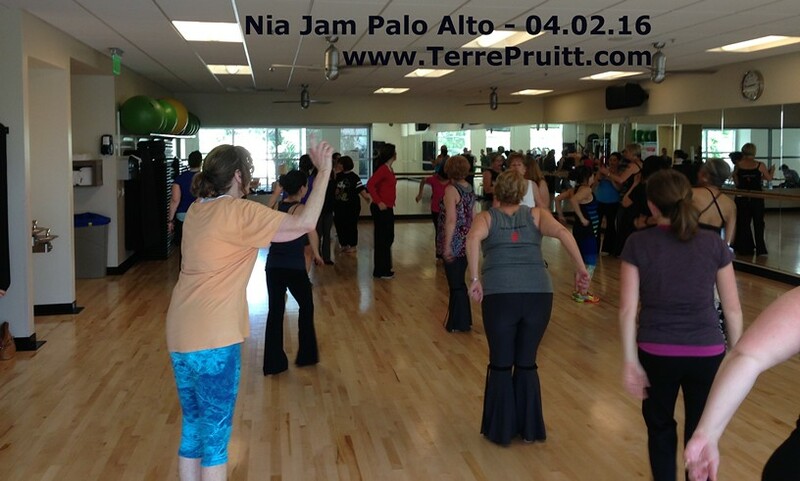 Saturday, April 2, 2016 there was a Nia Jam in the San Francisco Bay Area. It has been a long time since I have been to a Nia Jam. The last one I went to was in 2013! They are so fun. The energy at a jam is fantastic. I thought I was going to miss it because the event was being held at a studio in the Oshman Family JCC in Palo Alto. It is a HUGE complex and I parked in the garage and followed the first sign that said fitness center. It led me to a courtyard where every door was locked. There was a sign pointing up and to the left, but there was no way for me to go up and to the left. I asked someone walking around if he knew where it was and bless his heart, he had no idea but he made an attempt to help me. We looked at a map and I decided the best route was to go out to the street and go all the way around to where I thought the studio was. As I was making my way back to the garage, I made a few turns and ended up on the right track. I was supposed to be the first teacher and I was kinda bummed that I was late because I thought I missed it. But as I was walking in they were saying. “Where is Terre?” and I was able to say, HERE!” Yay! I made it. I was about 5 minutes late. I thought I was going to be early. I am so glad I made it. 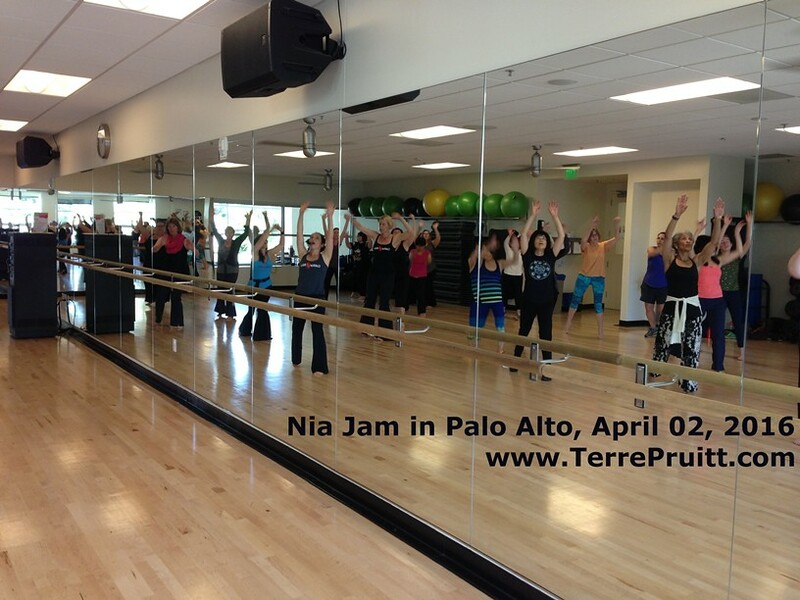 Nia Jams are soooo fun. Often times there are microphone issues. It seems as if movement disrupted this one’s connection. But Nancy H. worked on it and got it fixed after the first few songs. And it was good to go. As we were making introductions one of the teachers told me she was going to be after me. It is important in a jam situation to know who is before you and after you. You need to know who is before you so you are paying attention and can be ready to switch off with the microphone. And also, it is nice to know who is after you so you can make eye-contact as you are ending your selection so the switch off can go as smooth as possible. I don’t normally teach with a microphone so I always feel like I have to be quiet when I have one in my face. Otherwise it would blow people’s ears out. The focus was the Nia Five Sensations, FAMSS, (Flexibility, Agility, Mobility, Strength, and Stability) And I did it again, I don’t know what the intent was. I always seem to miss the intent. We had a great playlist (as you can see)! It was super fun. It is always so nice to see all the teachers. We are kind of spread out in so many different areas. It is even nicer to be able to dance with everyone. And the JCC was very kind to donate the space so between ticket sales and the raffle, I think the association did well. Here are some pictures and a video. I will continue to encourage you to go to a Nia Jam. They are so fun. I know you will love it! See a short video of me teaching on my website. I want to thank all the students that came and danced and all the teachers that taught. Such fun! See? Doesn’t it look like fun? Nia has been a cardio-dance workout since 1983. It is not as well known as some other cardio dance exercises. So when we have events, such as Nia Jams, Playshops, Plearns, Workshops, Intensives, Master Classes in addition to attending and enjoying these events I ALWAYS think of those things as opportunities to take pictures and videos. I always think that the pictures and videos can be posted on social media so that we can “get Nia out there” so it becomes more well known. The videos and pictures are meant to show people how fun it is. The pictures and videos are to show that it is a workout. The videos and pictures are meant to show people how anyone can do Nia. I was so caught up in getting people signed in and getting things ready to go for the Nia Class that I recently produced, I neglected to ask permission to take and post pictures and videos. But . . . I also had it in my head that it is well known that while we do our Nia events we want to have pictures of them to promote our Nia events. Well . . . . this is the result of me not doing due diligence and gaining permission BEFORE taking the pictures and the videos. 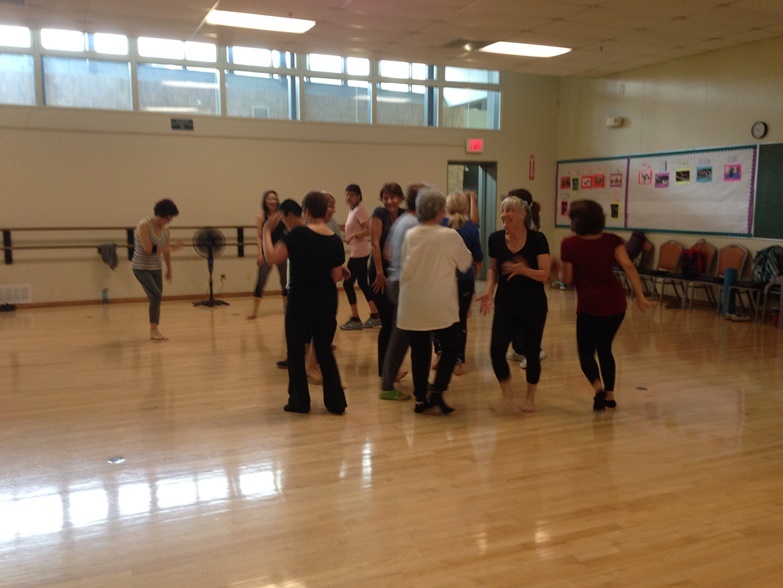 These are some of the pictures and videos from the Nia Class on Friday, March 27, 2015. I have posted other pictures where I had to block someone out, but never videos. It takes a long time, so this is the end result of a non-professional video editor (me). As I stated in my post, What Did Frankie Say?, on Saturday after the Nia Class, Jason Alan Griffin, a First Degree Nia Black Belt is travel the United States presenting his Nia routine he calls Frankie Say Nia. I didn’t do well, at all, with the dressing in the 80’s style, but I did think the animal print would work. My little head top pony-tail was supposed to be a tribute to the “BIG HAIR” of the 80’s. I didn’t bother actually doing my hair up in that BIG way because after the first song it would have just been flat. Nia IS a cardio-dance WORKOUT and the routine followed the classic Nia style with all seven cycles of a Nia workout. And in keeping with the seven cycles this routine has a focus and an intent. The focus being the Creative Hand and Arm Expressions. The intent is to allow us to relax into personal power. The routine is full of fun and familiar songs, except the last three. There were three songs in the Floorplay section and the first one just struck me as odd. I don’t mind dancing to odd music. Dancing to odd music is fun. And, in fact, part of the Nia White Belt Training gets us to dance to music that might be considered undanceable by many. I have yet to come across music that is undanceable, but that doesn’t mean that I don’t think some of it is odd. And it wasn’t so much that it was odd, it was that I couldn’t remember ever hearing it before. Jason, kindly reminded me again (because I asked him at least three times and couldn’t remember still) that it was Ghost Town by the Specials. I was also trying to follow the moves and allow myself to dance, so I didn’t even listen to all the words. It is a very varied song. I am listening to it now as I type and it is making me laugh! Regardless of my error in not getting permission beforehand and regardless of the less-than-professional job of “editing”, I believe it is still obvious that fun was had by all. It was a great time. I still have the Playshop to post about. I will get to that eventually. So stay tuned! We can’t wait to have Jason back for more Nia. I will keep you posted so next time you can join us! As you may know if you have perused my blog or website, Nia has moves called the 52 Moves of Nia or Nia’s 52 Moves. Moves concentrated and focused on. Generally moves included in all of the routines. Not all the moves are included in all of the routines, but the routines are jam-packed with most of the moves. The moves on the list have physical benefits. Some are fun or silly so they can have mental or spiritual benefits. And in this case I am talking about your spirit or inner child, the part of you that likes to have fun, the part of you that you might not get to display in your regular everyday work life. So not the religious type of spirit but the kind of spirit that you think of when you say or hear “school spirit” or inner child. The fun playful side of you. To me, one of those moves is Claw Hand. Claw Hand is a great move. It is super easy. It can be done all on its own. You can just stand or sit and do claw hand. You can add it to some foot work. You can add it to some complicated choreography. You can make it soft or hard. You can do it fast or slow. It is very versatile. You can even make noises when you do it. You can growl like a big cat or a bear. You can meow like a kitty-cat. You can make any noise you want. It is fun stuff. As I said you can do it standing or sitting and this moves gets done in to all the stances and steps in the Nia Routines. 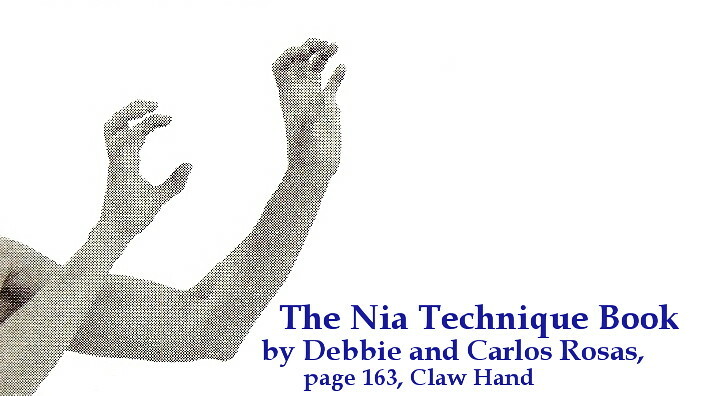 The Nia Technique Book (by Debbie and Carlos Rosas) recommends it be practiced in all the stances and steps. And that is a great idea since we use it with all of them. The routine I am doing now even add it to blocks. We block in with claw hand and we block out with claw hand. Why not? The benefits can include strengthening your fingers and hands. In addition to keeping a relaxed wrist I like to use the claw shape to bring tension into my entire arm. I imagine I am really clawing something. I figure I would need strength to do that so I put my entire arm into it. You can use one had to “claw” and the other hand to feel the muscles in your arm (forearm and upper arm) contract. The book states that this move can increase your sense of power. When I am doing it with muscles contracted as if I am REALLY clawing something I do have a sense of power. I imagine that is how an animal feels when they wield their claw. This move allows you to practice bending your fingers too. That helps with the mobility of the joints. I like this move. I like to add sounding to it. Ok, so stop and try it? What sound do you like to do best with your Claw Hand? I have said it many, many times, but I am going to say it again. Nia has 52 Moves which we incorporate into the Nia routines. These moves have a specific way to be done. But the way they are done is adjusted, like many things, when you are doing them in a routine. There is or was a debate about one of the moves called the bow stance. The debate is or was about how the weight of the body should be distributed. The reason I am saying “is or was” is because I don’t know if the debate was ever settled. The discussion regarding it — at least one that I had seen — was on Facebook and it was a long discussion. I don’t know what the end result was or what the “official” decree is because to me, I want to teach balance, so if I am JUST doing a bow stance then I would instruct people to have their weight evenly distributed. Usually I am not doing JUST a bow stance. If I am showing people the bow stance it is because it is in the routine and there are other steps prior to or after it and with other moves on either side the weight gets distributed according to the need. So, in other words, we adjust the move to fit the dance and choreography. So that is what my class and I are experiencing right now with the Nia 52 Move called Rock Around the Clock. If you read my original post about it, the one that explains what it is, the instructions state to start the rock on the heels. But in the routine I am leading my class through currently we start the rock on the toes. Then we roll (or rock) to either the left or the right. We actually go both ways and like many things, the different “sides” or directions are very different in regards to sensation and difficulty level. One side is easier than the other . . . at least that is the consensus with my students. So it is very beneficial to practice “rocking” both ways. With this post I am doing two things; 1) I am reminding you to practice moves going both directions. Just like we do both sides. If we are doing a move with the left side we do it with the right. We – trainers – often say to keep the body even and it really is to work both sides of the body AND the brain! 2) Share with you a different or additional WAY to practice Rocking Around the Clock. My original post says something about this being an example of an easy move. It is not necessarily “easy”, what I probably should have said was the Rock Around the Clock was not a high intensity move. So for those that are really starting out learning this move you might even want to sit down and do it. Since feet are in shoes for a large part of the day and those shoes might not allow for a lot of ankle mobility, it could be that your ankles just don’t want to move in the way that is required with this move. So it is a great idea to sit down and allow the ankles to loosen up. When you are standing you can use something to hold onto like a counter, table, chair, wall, something that is sturdy and can assist you in balancing. Having something to steady you while your feet get used to supporting your weight on the edges is nice. The support also allows you to really exaggerate your foot movements to help get the movement into your muscle memory. This move helps build strength in the ankles and the feet. This is also a very “mental move”. It is one of those moves you might have to really think about in order to do it correctly. Then, with practice, it will become one of those moves you can do without thinking so much about. And your feet and ankles will benefit greatly. So have you tried it? Can you do it sitting down? Can you do it standing up? Can you see how it is an interesting move? Nia Technique comes out with four routines a year. I actually do not know if this is how it has always been or if this is how it has been lately. When I first started teaching Nia there were so many routines – to me – that I didn’t bother to keep track of the new ones when they were released because there was a stock of them I could order from. I do vaguely remember reading some teachers saying on the teacher forums that HQ needed to create some new routines as they hadn’t done any for a while. I remember thinking, “Wow! I can’t imagine having the need for new routines, look at all of them!! !” HQ just released four new routines in December. I think they are considering them 2014 routines, but I think of them as new for the New Year. It is really great to have new routines to start off the New Year. Facebook is all a buzz about the new routines. I think, I don’t know, but I think some deliveries of the new routines were delayed due to the Holidays. Many Nia teachers are talking on Facebook about waiting by their mailboxes. Everyone is very excited about new routines. There are four new routines. I only had enough credits for three so, I ordered three out of the four. I could buy the fourth one, but I will just wait until I renew my license. Four routines are included in the licensing renewal fee of $520.00. So when I renew in a few months I can just get the fourth one at that time. I am slow to learn routines so I will have not learned and taught the three I just bought by the time I can order the fourth one. The new routines have great names: Magic, Beautiful, Dream, Reach. Could be that you Reach for your Beautiful, Magic Dreams. Ha. That is not what Nia HQ says, it is just dawned in me while writing this. Anyway . . . . it really is exciting. Although, as I mentioned, it takes me a long time to learn a new routine. So I am still learning one that was released in 2013. I will admit to not being able to learn anything new for the first half of the year. It was like my brain just couldn’t concentrate and retain a new routine. I have moved past that now. And I am still current with my quota (we are supposed to learn four a year) so I don’t feel bad. I do love how so many Nia teachers jump right in and on the new routines. 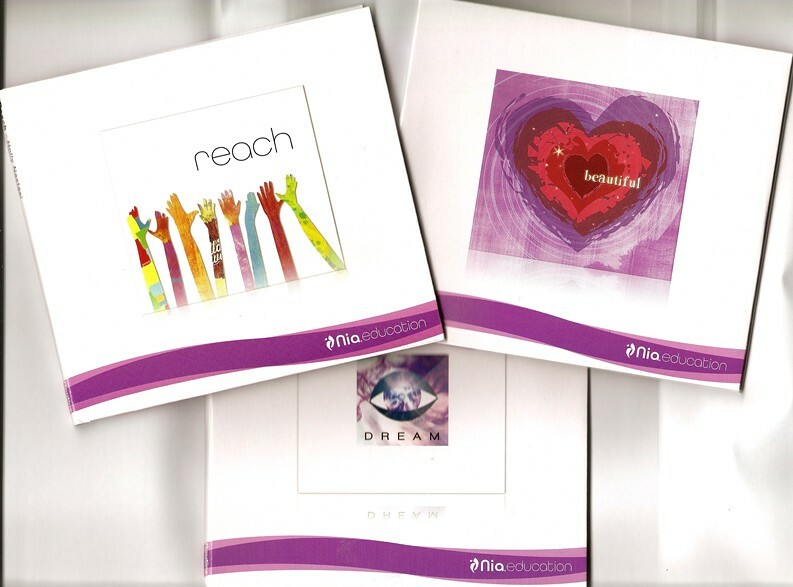 Some Nia teachers have been teaching Nia since in the ’80’s so they have done ALL the routines there ever were and more so they really NEED the new stuff. I have only been teaching Nia since 2009 so there were twenty-six years of routines before I even started Nia. Although, as I said, I don’t think they came out with routines every year so there are not 124 routines to choose from. Especially, since a lot of the old routines are no longer available. Well, I do hope I will see you in a Nia class in 2015. Come sooner than later! Do you like to do the same routine for a bit before you move onto another one? Do you like to have a new routine to do every time you step into the class?